Professional concert pianist with years of experience in teaching offers lessons for children and adults in Basel. 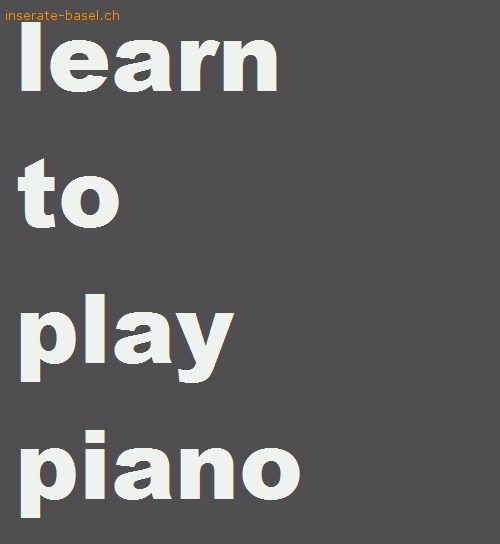 Do you want to play your favourite tunes on the piano? Would you like to learn pieces of the greatest classical composers? Just curious about music theory or history? You have your grandma's viennese intrument in your room but you don't know how to play on it? Cantact me, all questions are welcome! Where would the lessons be? At your place in Basel or at the Musikhochschule.